As some of you may be aware, Microsoft has released some important performance and stability updates to both SQL Server 2008 R2 (CU9) and SQL Server 2012 SP1 (CU7) via the cumulative updates release vehicle in the last couple of months. SQL Server CUs are not part of the Microsoft update that downloads patches on “patch Tuesday”. How do you know when Microsoft releases cumulative updates for download? The answer is quite simple – Microsoft publicly announces the availability of the CUs on their website! Please note that as soon as a service pack is released, subsequent CUs will be listed on a new page. 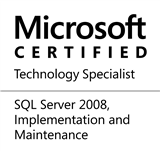 Hence, a new page will be available if and when SQL Server 2012 SP2 will be released. This is because of Microsoft’s patch naming strategy which will make the next CU to be SQL 2012 SP2 CU1. Finally, if you ever misplace these links just type the following in your favourite search engine (it has always worked for me!) – “List of SQL Server 2012 SP1 cumulative updates” (update the string to have the required SQL Server version and patch level as necessary). This entry was posted in #SQLServer, Blog, Imported from BeyondRelational and tagged #SQLServer on December 19, 2013 by nakulvachhrajani.